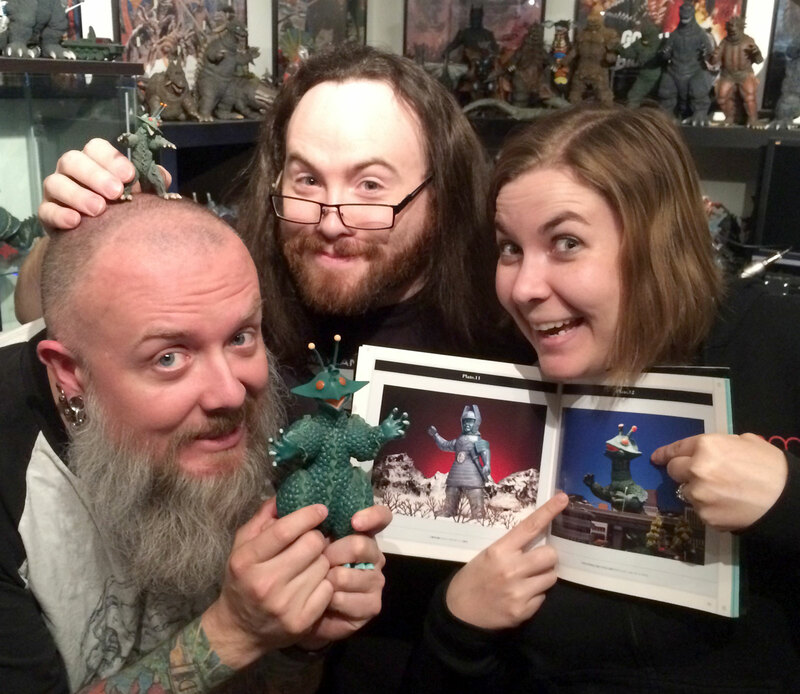 Kyle, Bryan and Rachel say “What fun, the Moon World” in this discussion of The X From Outer Space! This episode we talk about the weird bumpy space chicken known as (not Gigan) Guilala – star of Shochiku’s 1967 kaiju film, The X From Outer Space (aka Uchu Daikaiju Guilala). What a bizarre but thoroughly entertaining entry into the showa era of Japanese kaiju history. I really hope that more information comes to light about this entry in the giant monster landscape because I would absolutely LOVE to know more about the history of Guilala! We watched the subtitled version that lives in the land of Hulu Plus because the only release of this film that I have is the Japanese Region 2 DVD (the box set also came with an awesome Guilala figure and a model kit of the AAB Gamma!). It was recently released on DVD officially as part of a Criterion box called “When Horror Came To Shochiku” but I haven’t picked it up. I think this is the first DVD release since Godzilla vs. Megalon came out that I haven’t bought because I am kind of waiting for an HD version. Call me crazy… all the voices do. The new section is a bit slim this episode, but if you want your fix, go check out SciFi Japan – there are all sorts of books coming out, festivals happening across the world – even contests. 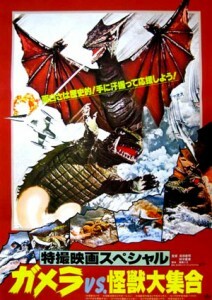 In July, we will be tackling the 1967 Daiei Gamera movie, Gamera vs. Gyaos aka Return of the Giant Monsters. In fact, I can tell you that we will definitely be watching the Shout! Factory’s DVD release of the film but it is available on BluRay thanks to the recent release by Mill Creek Entertainment. Please turn in your homework by July 25th to have your thoughts, questions and reviews as part of the next discussion episode!